When it comes to fire safety, fire extinguishers can be a valuable tool. But if you’ve had an extinguisher sitting under the kitchen sink for 15 years, it might be time to purchase a new one. Chances are, the one you’ve got won’t work if and when you need it. Here are a few fire extinguisher maintenance tips and recommendations that will help you be better prepared to use this fire safety tool. There are five primary types of fire extinguishers each designed to put out a specific kind of fire. Each fire extinguisher is labeled with the letter and type of fire it fights. Some household fire extinguishers are labeled A, B & C and can efficiently put out any household fire. Also, there are different types of extinguishers based on the fire extinguishing substance they contain and how that substance stops the fire’s spread. Just as the milk in your refrigerator goes terrible or a bottle of wine can turn to vinegar, the fire-fighting substances in a fire extinguisher become unusable after a time. It’s important to check the expiration date on the fire extinguisher in your home or business and replace expired units. Check the instruction of individual fire extinguishers to determine if the contents need to be regularly shaken. 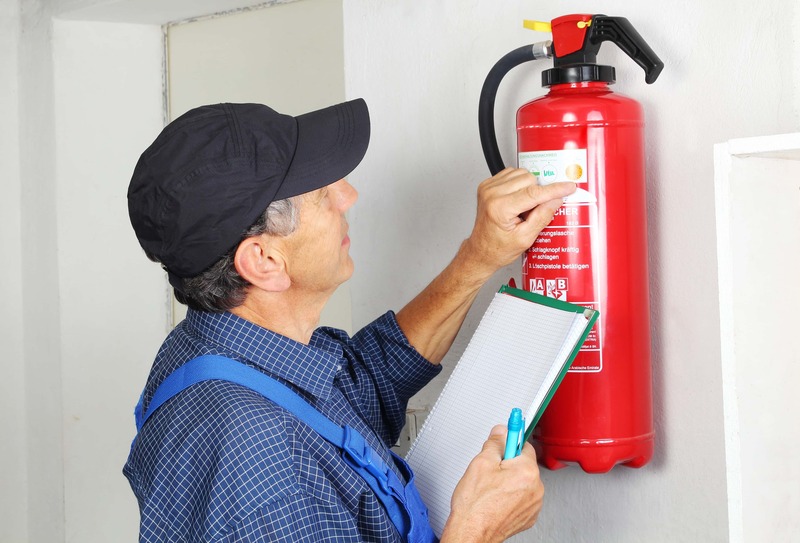 Proper fire extinguisher maintenance will ensure that the unit will be able to ready and able do its job if and when it is needed. While fire extinguishers can help put out or suppress flames until the fire department arrives, there is no more significant safety tool than a Fire Escape Plan. Make sure everyone knows how to get out in a hurry, where to meet, and how to call 911. For more information on Fire Prevention, or for help with Fire Extinguisher maintenance, depend on Brigade Fire Protection. Whatever your fire protection needs, Brigade’s fire prevention experts are here to serve you.